Offering you a complete choice of products which include lilac premixes, lilac coffee premix, lilac ginger tea, lilac tea premixes, cardamom tea premix and cardamom masala tea premix. Ginger is the medicinal herb used in every household. Ginger tea is another popular flavour, known for its strong taste and aroma. Considered a healthy spice, it makes for a great cup of tea. It is definitely the best choice for healthy drinking options. Lilac using the finest quality tea and natural ginger contents, it is an apt drink for when one is down with cold or just feeling unwell. 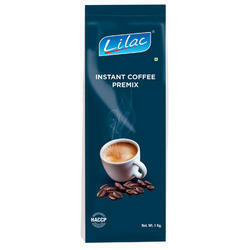 Lila Elaichi is one spice known for its very pleasant aroma and amazing taste. The scent of these exotic spices makes tea drinking an enjoyable experience. We have chosen this flavour for its pure demand and popularity among large tea drinkers around the world. A good energizer for your body and mind, our Cardamom masala tea concoction is guaranteed to awaken you from your boredom. 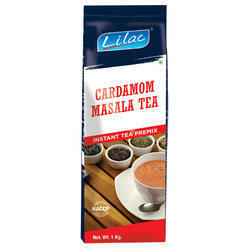 Cardamom Masala is the blend for who don't like Masala and Who get bored with cardamom. Various spices like cardamom, ginger, clove and many secret spices make this tea a special one for every tea lover. Ginger is the medicinal herb used in every household. 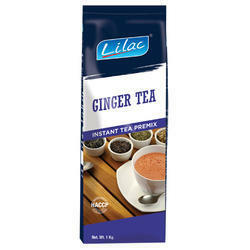 Lilac Ginger tea is another popular flavour, known for its strong taste and aroma. Considered a healthy spice, it makes for a great cup of tea. It is definitely the best choice for healthy drinking options. Made using the finest quality tea and natural ginger contents. Lilac Masala Tea is good energizer for your body and mind, our masala tea concoction is guaranteed to awaken you from your boredom. Masala 'chai' is the most prominent drink of India. Various spices like cardamom, ginger, clove and many secret spices make this tea a special one for every tea lover. Lilac Plain Tea is a simple relaxing drink for your soul, Plain tea is for the normal tea drinker who enjoys the plain old taste of natural tea every morning and evening. Assam tea is the main ingredient and its light and aromatic at the same time. Come and enjoy our Indian simple 'chai' in all its glory. Cardamom is one spice known for its very pleasant aroma and amazing taste. The scent of these exotic spices makes tea drinking an enjoyable experience. 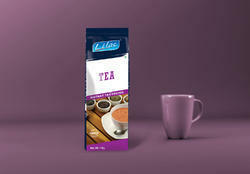 Lilac Brand have chosen this flavour for its pure demand and popularity among large tea drinkers around the country. Lilac Masala Tea is a good energizer for your body and mind, our masala tea concoction is guaranteed to awaken you from your boredom. Masala 'chai' is the most prominent drink of India. Various spices like cardamom, ginger, clove and many secret spices make this tea a special one for every tea lover. A simple refreshing drink for your Busy schedule work, Plain tea is used by regular tea drinker who enjoys the plain old taste of natural tea every morning and evening. Every ship of the tea give you the taste of Indian Natural Spices.